I like taking pictures of my food because my food is usually pretty good looking…just sayin’. I started with some mixed greens and then went a little crazy. and grilled chicken for protein. There are also some roasted beets hidden somewhere in there…yum. 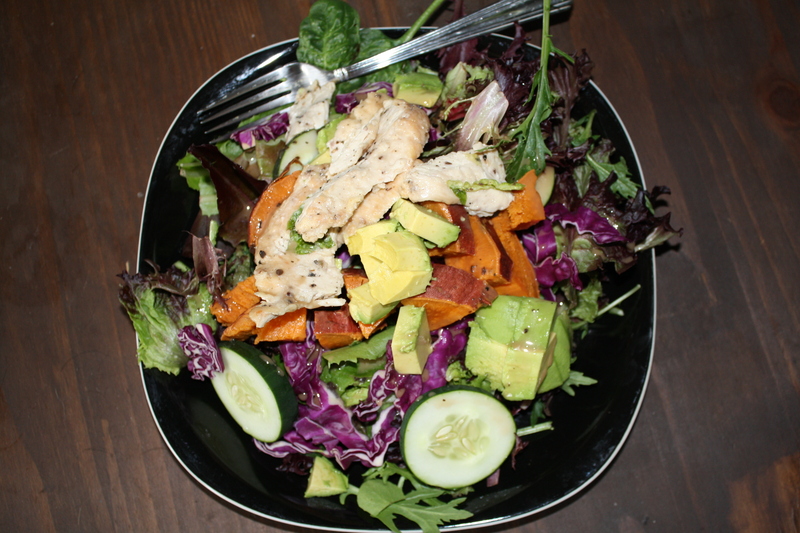 I really love making giant salads: I pretend that I’m at the Whole Foods salad bar and I go crazy! 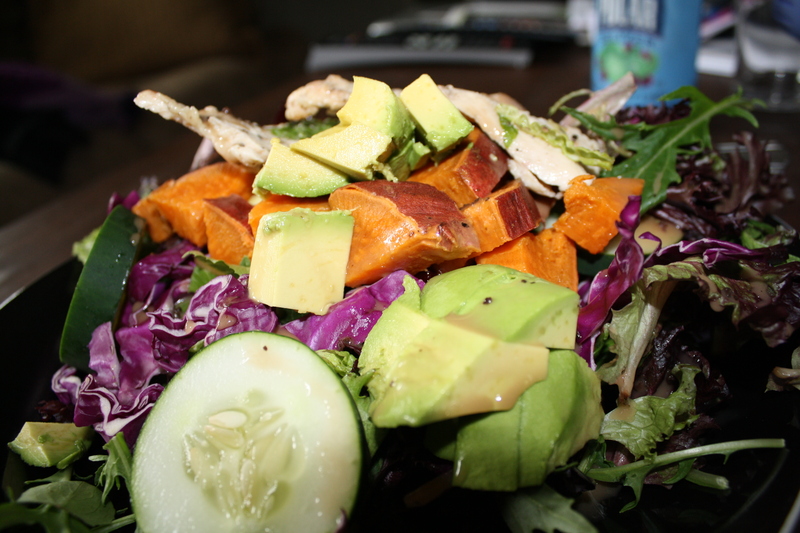 I call this my “power salad” because it contains a good balance of protein, carbs and fats. 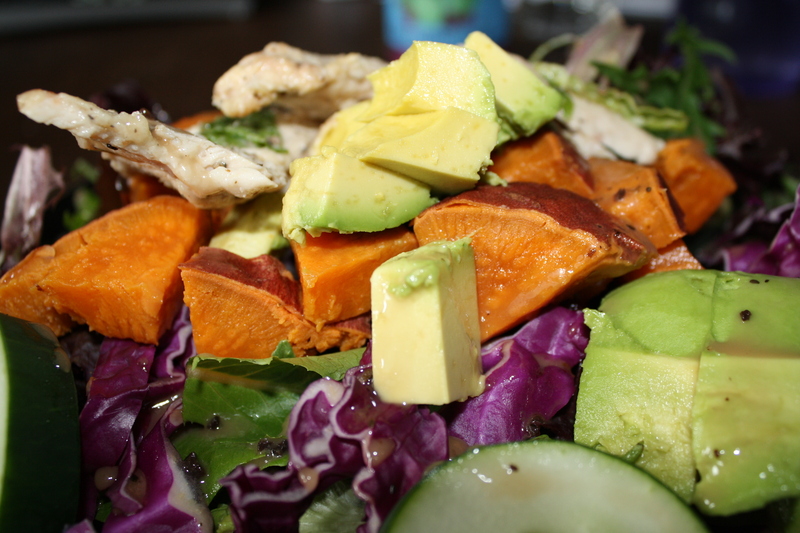 Protein from the chicken, carbs from the veggies including the sweet potato and beets, and some fat from the avocado. Put them all together and you get a really satisfying salad that can power you through the rest of your day! 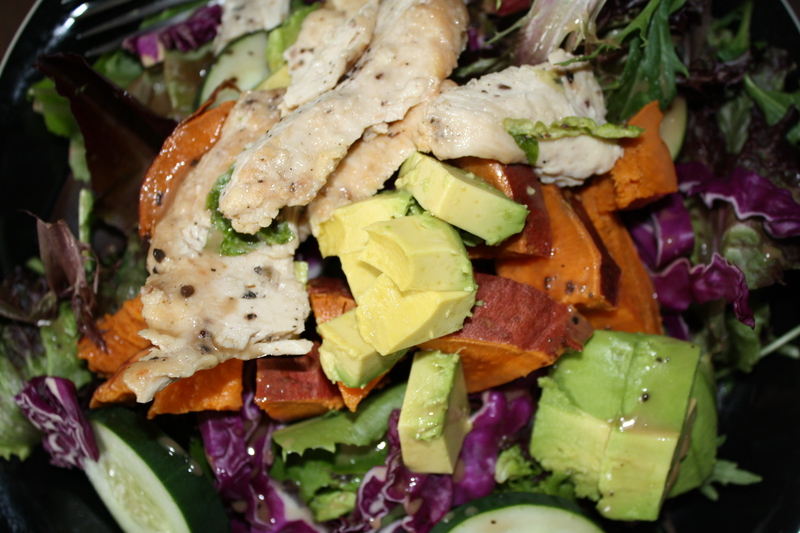 What kinds of toppings do you like on your salads? Eating 4 Energy Workshop This Saturday! That’s a seriously gorgeous salad! I haven’t actually craved salad in a while now, but that one looks so amazing with the avocado that I’m dying for one for dinner now!